There are many things to consider when getting a roof replacement. If you’re planning to get one this season, make sure you have a plan. It’s good to have a budget that you can solely use for your roof replacement project. Next, be sure to hire a reliable roof contractor to help you plan and implement your project. Every roof material has its specific benefits. You can ask your roofer or research on them. Asphalt shingles are one of the most popular materials today. They are low-cost, versatile in design, and easy to install. Slate, tile, and wood are excellent choices too, as they are durable and resistant to various elements. The style of your roof is a key aspect that you need to discuss with your contractor carefully. Make sure it complements the architectural design of your home. If you wish to create an old-work look, go for slate, tile, or wood. Make sure your exterior radiates the same vibe. For a modern finish, consider asphalt shingles or metal. The function of your roof means everything. Study the features of different roof materials. Which material has a long life expectancy? Which roof offers ease of maintenance? Ask a trusted roofer, such as Peak Roofing Contractors, to help you understand the advantages of each material. Moreover, look for particular features, including fire resistance, sustainability, stability, and others. Lastly, check for roof accessories or reinforcements. Some roofers like Peak Roofing Contractors have partnered with manufacturers that offer them. GAF has roofing accessories that don’t just increase the appearance of roofs, but improve their functionality, as well. We are trained to install these modifications for enhanced protection. 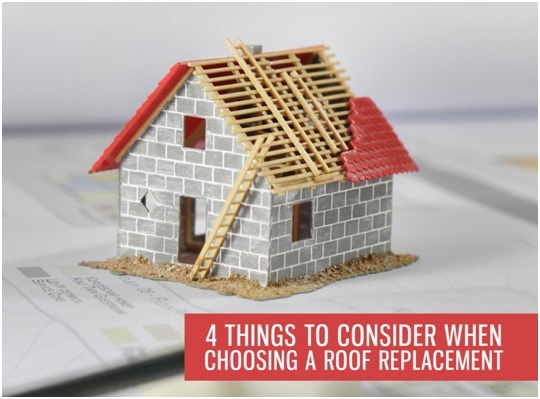 Hopefully, we were able to give ideas on what to consider in your roof replacement. If you need help in choosing a material, turn to trusted roofing contractors in Manassas, VA. Peak Roofing Contractors is a GAF Master Elite™ Certified roofer that installs top-quality shingles from GAF. Additionally, we install slate, tile, wood, and metal. For more information about our services, call us at (703) 745-5153 today. We’ll be ready to assist you with your needs.